SAVE A LIFE Corporation, offers a specific medical training course for Adult CPR and First Aid training. This course is taught by one of our medically experienced and professionally trained staff. 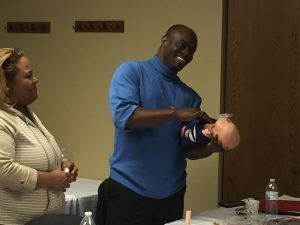 The Emergency Care and Safety Institute First Aid; AHA and ASHI/Medic First aid; CPR training courses provide current training in general First Aid, CPR, and Bloodborne Pathogens. Course covers medical emergencies and recognition of signs and symptoms of a heart attack, cardiac arrest, stroke, and choking in adults with use of barrier devices. Hands-on scenario based training. Students will receive a 2 year certification upon completion of the course. Certification card and textbook are included in class fee. 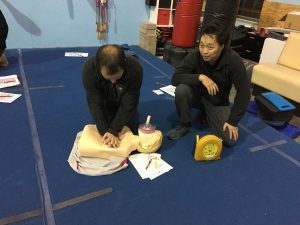 Intended Audience: Anyone interested in learning basic First Aid and CPR. Students Materials: Standard First Aid & CPR Student Manual. SAVE A LIFE Corporation, offers a specific medical training course for Pediatric CPR and First Aid training. 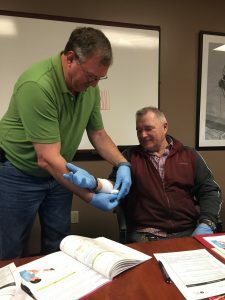 We can educate your staff on-site or you can attend this course at one of our upcoming scheduled times located around the Twin Cities area. Individuals are also welcome at any of our scheduled training courses. Course modules cover first-aid basics; medical, injury, and environmental emergencies; verbal and pediatric CPR; choking; and additional topics. 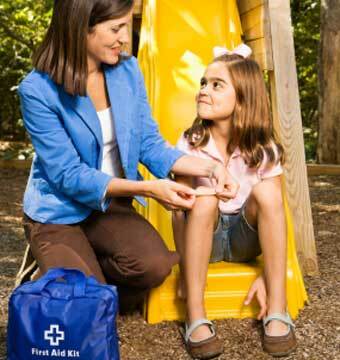 ECSI/AAOS/AHA/ASHI/Medic First aid courses offered. Hands-on scenario based training.